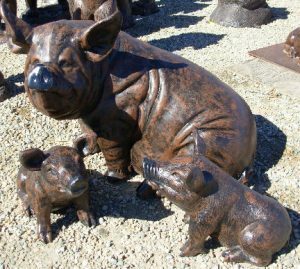 Be the first to decorate your yard or garden with our selection of Recycled Cast Aluminum Pig Garden Statues & Sculptures. 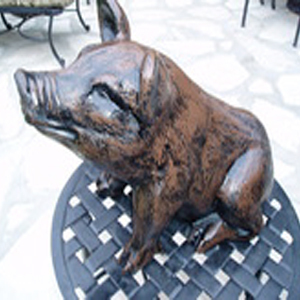 Our metal Pig Garden Ornaments and Yard Art are a fun and interesting addition to your indoor or outdoor home or business décor. Imagine your friends reaction when they see a life-like pig metal garden statue in your yard or garden. 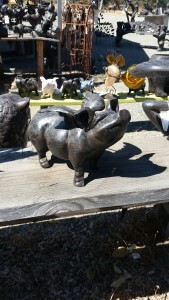 Our pig yard art and sculptures have the look of bronze with a lower price point. Our pig statues are also made from recycled aluminum and are a green product.